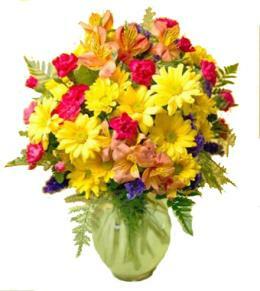 The Festive Big Hug Bouquet is a bright and beautiful way to send your warmest wishes. 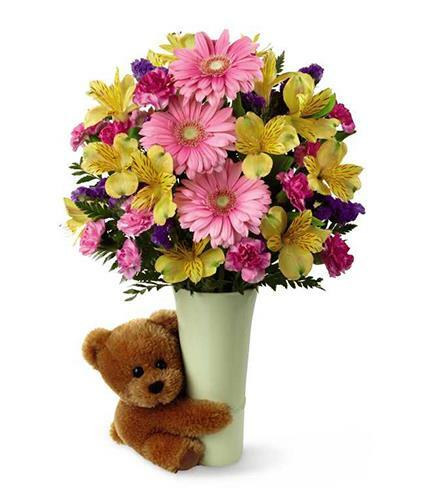 Gerbera daisies are surrounded by mini Lilies, mini carnations, statice and lush greens perfectly arranged in a vase hugged by a darling plush teddy bear to create an incredible gift for any occasion. 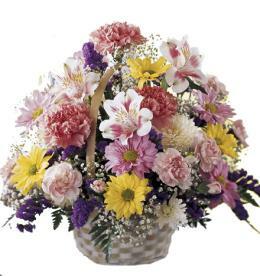 Birthday Flowers For Mom - Big Hug Festive and Teddy Bear. 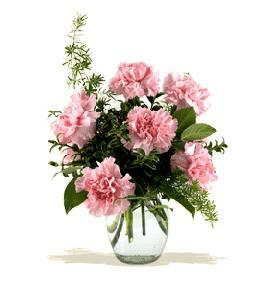 Florist Notes: Vase may be good clear glass. 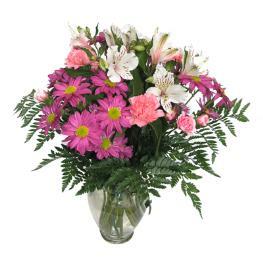 Arrangement Details: GOOD bouquet includes 9 stems. 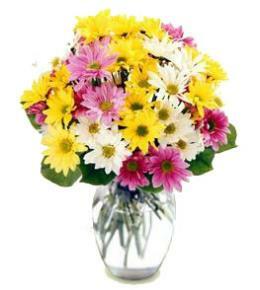 Approximately 14"H x 10"W. BETTER bouquet includes 13 stems. 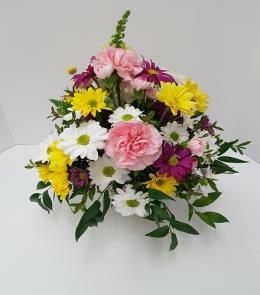 Approximately 15"H x 11"W, BEST bouquet includes 18 stems. Approximately 16"H x 12"W.